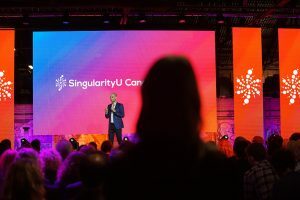 Singularity U empowers a global community to develop and implement solutions that harness and advance exponential technology. Building on the success of the first SingularityU Canada Summit, we are expanding the conversation and sharing the best of Canadian and international technology. Learn about the transformative impact that technologies like artificial intelligence, nanotechnology, and digital medicine will have on our lives and our world. We’re coming out West! This year, we are working with a diverse group of strategic partners to host the SingularityU Summit in Edmonton, AB. Located in the heart of western Canada, Edmonton is Alberta’s capital city and is home to 1.3 million people. While various cities in Canada have been recognized for their innovative initiatives, Edmonton is one that is leading the way in AI, big data and healthcare. The city is made up of like-minded, enterprising business people, who are technologically driven and entrepreneurial-fuelled.